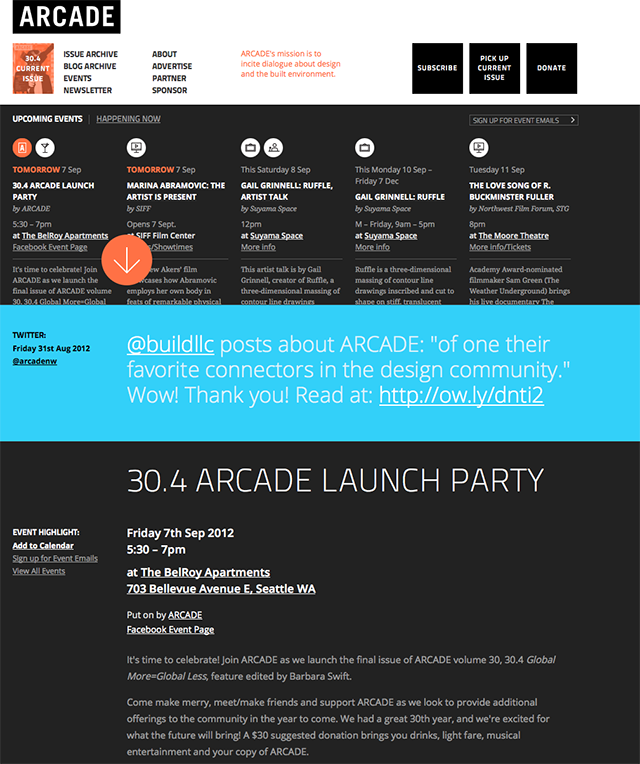 Arcade is a Northwest publication that strives to provoke dialogue about design and architecture. Established more than thirty years ago by a group of architecture-school graduates, the team at Arcade recently decided to pursue the creation of a website that represented the voice and versatility of their magazine. The website has an adaptable interface that allows for multiple platforms (phone, tablet, desktop). The site also features inventive calendar access and event color coding. The new website has allowed the magazine to transfer print elements to the web and expand their audience on top of economizing costs.